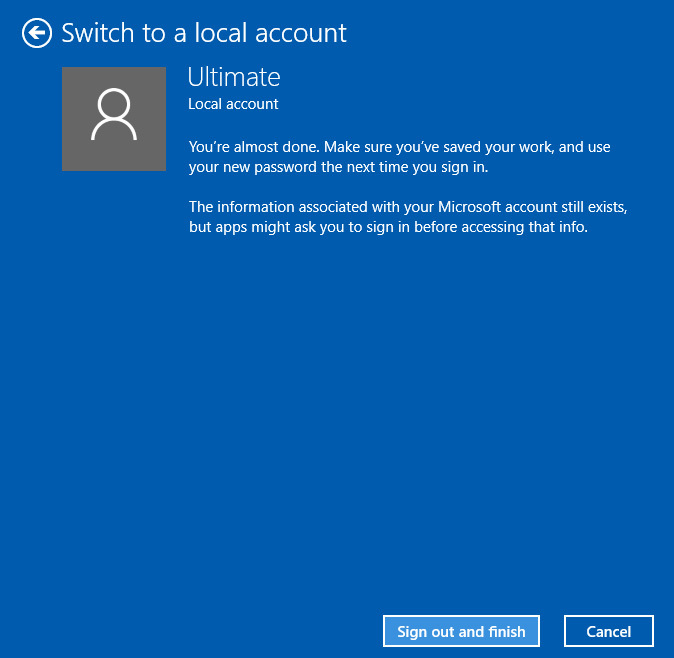 When you setup your Windows 10 at first, it will ask you for your Microsoft account in order to continue the setup, and then this account will use everytime you login to your PC. 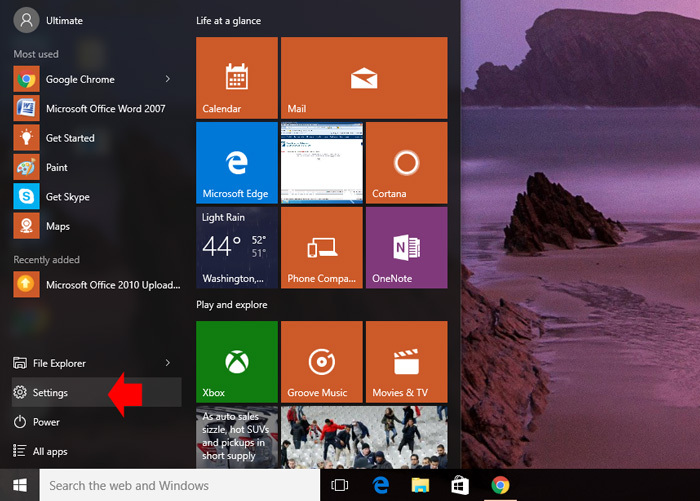 If you add another user, Windows 10 also ask for online account of the new user. Using a Microsoft account for local machine authentication I find it like a potential invasion of my privacy or I’m just not used to login with my email address everytime I login to any computer. 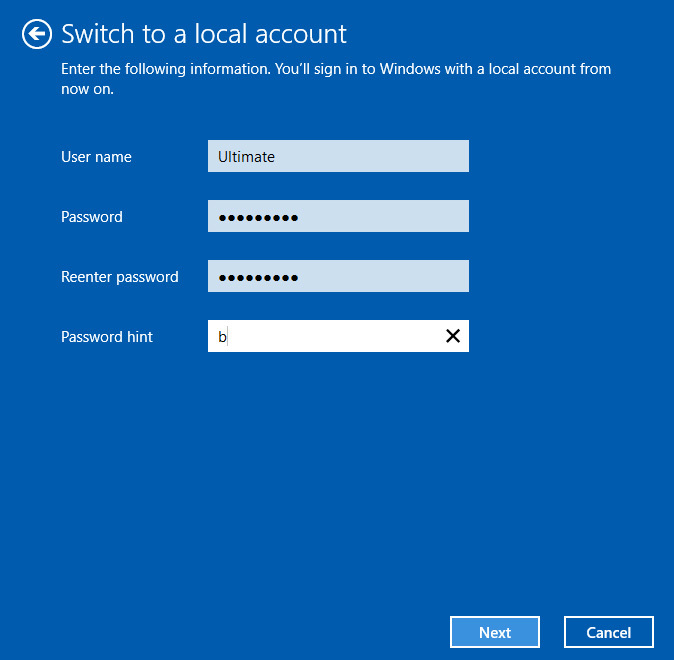 So I switch back to local account and here’s how simple to switch Windows 10 login from the Microsoft account to a local account. Make sure to close and save whatever you are doing because it will sign out your account and close all open applications. Now if you’re ready follow these steps. Go to your settings, you can access it by going to ‘Start” then select “Settings”. 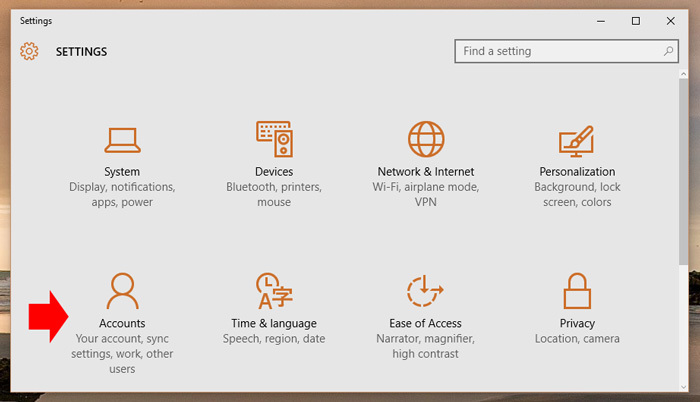 On the Settings window, select “Accounts”. In the settings window, under “Your Account” select “Sign in with the local account instead” link. 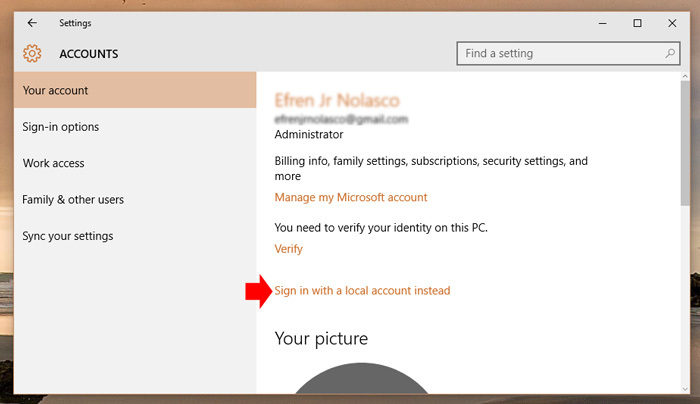 To switch to your local account, enter your Microsoft account password, then click “Next”. On the next window, enter the username and password that you want to use for your local account, this will be the one you will use everytime you login to your computer, click next to continue. 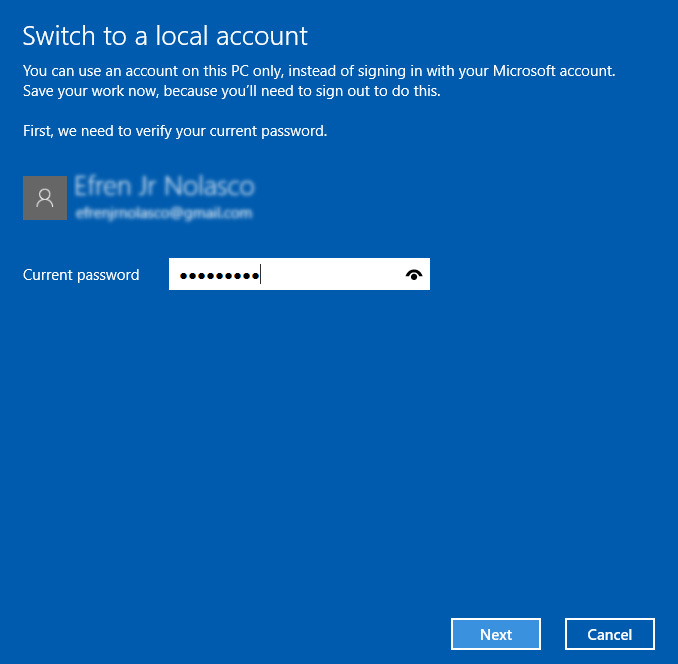 You already done changing the login credential from Microsoft account to your local account you’ve just created, you just need to click the “Sign out and finish” button to take effect your new settings. It will log out your account and when ask to login, select the username you created earlier and enter the password.